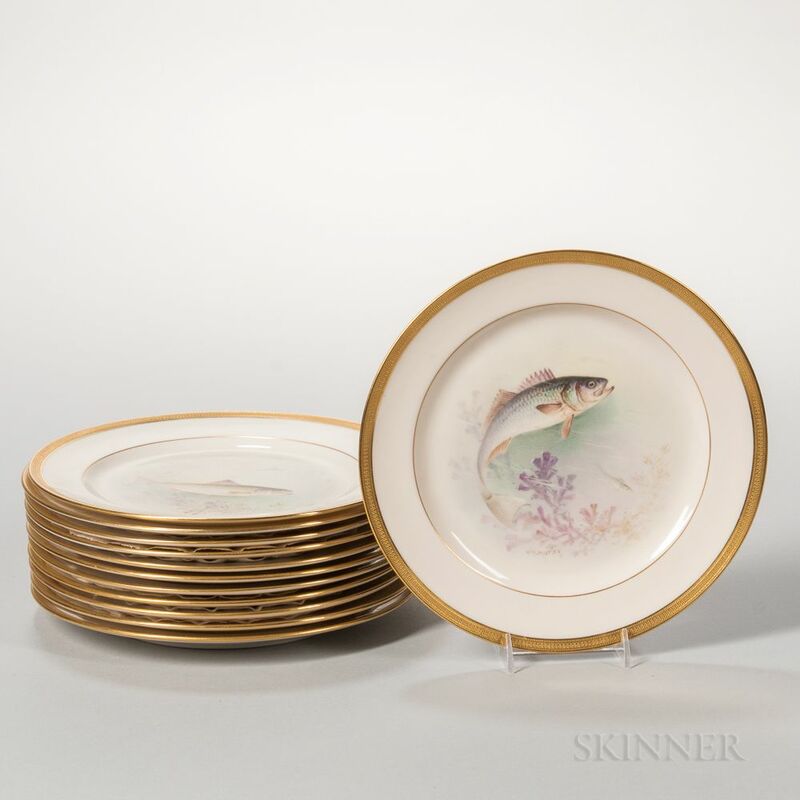 Twelve Lenox China Hand-painted Fish Plates, Trenton, New Jersey, early 20th century, gilded trim lines to a pale cream ground polychrome enamel decorated with a variety of fish, artist signed "W.H. Morley," titled, marked, and retailer Ovington Bros. on the reverse, dia. 8 3/4 in. A few plates with the slightest surface abrasion. No evidence of any cracks, chips or restorations throughout.